“IAVA tremendously appreciates Secretary Carter’s continued support for IAVA and the veterans community. He is a strong leader and true partner that is always focused on the health and well being of our troops and veterans. I was grateful to have an opportunity to sit at the table with Secretary Carter and senior defense leaders to learn more about how they’re working day and night to protect our great nation. 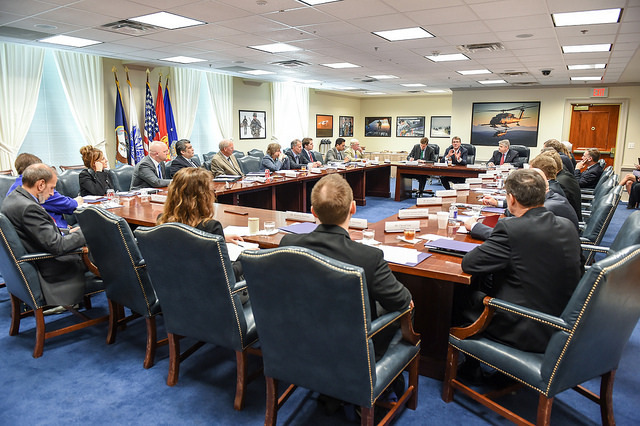 IAVA members appreciated the opportunity to hear about the DoD’s plan ahead for 2016 and beyond. We share the Secretary’s deep concern about the devastating impact sequestration is having on our military and urge Congress to heed his warnings.